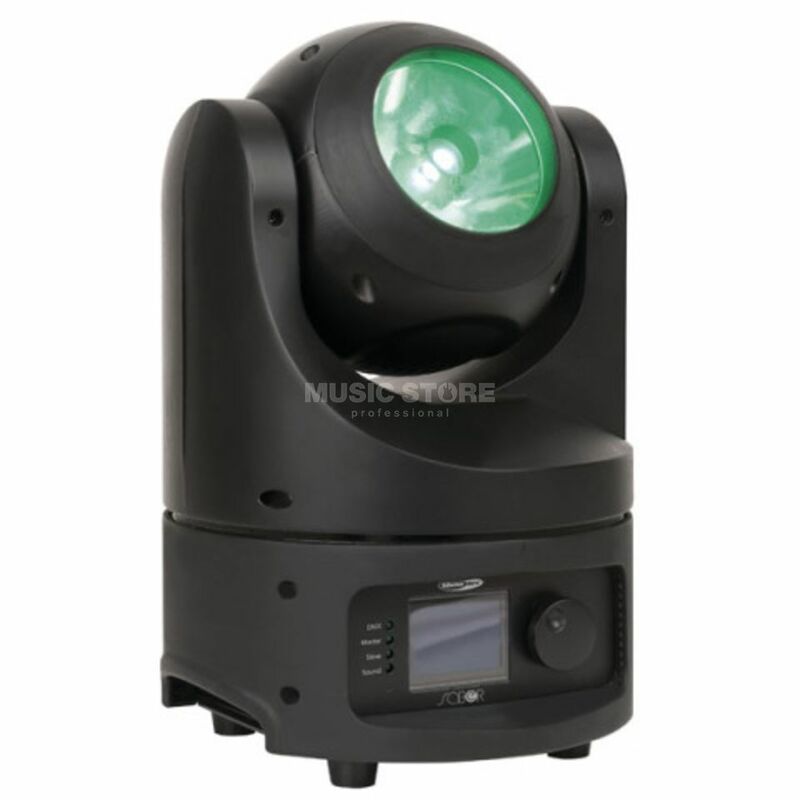 The Showtec Saber is a compact moving head in a stylish round design. It has a fully illuminated 94mm lens with 4° beam angle. Togeher with the 60W RGBW Osram Ostar LED it creates powerful narrow multicolored beams. The saber is equipped with high torque motors to create fast continuous rotating movements. With only 215mm diameter and one clamp rigging it is very easy to create narrow setups with multiple fixtures in truss systems.